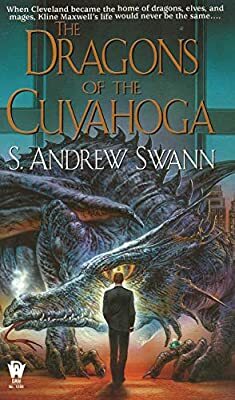 Author: Swann, S. Andrew Set In . . . Description: It all started about a decade ago, when the Portal suddenly opened up over the stadium right in the middle of a game. Cleveland just hadn’t been the same since, what with electronic devices pretty much useless—unless you were willing to spend a fortune in digital protection and redundancy equipment—and all the dragons, elves, gnomes, dwarves, gargoyles, etc. who’d come through the Portal to take up residence within the areas covered by the Portal’s magical field. For Kline Maxwell, City Hall reporter for the Cleveland Press, magic-based Cleveland had long since become the status quo. At least until a fellow reporter named Morgan came down with a case of eyeballs growing all over his body. The diagnosis: stay out of Portal territory and he’d be just fine. But that meant Maxwell and all the other reporters were going to have to take up the slack.